The southern side of the mountain is decorated with nearly one hundred meters tall ear shaped rock formation. This is by no means formed by chance but rather as a result of an amazing engineering project. The ear mimics cleverly the stucture of an elf’s ear. It even has a gigantic ear canal. When standing on the far end of the canal you can hear even the most quiet whispers from the other side of the world. chool work is part of the gnomes’ spring-time routines. This is the time when they are busy studying foreign languages to be able to go through wish lists and deliver the mail to the correct addresses. They also practise good habits, discuss what is right and wrong, and how one should respect nature. The school day always starts with Santa’s briefing in which he tells many stories, sometimes even exciting ones, on how important it is to be helpful to others. 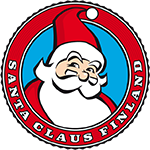 Autumn and the Christmas season are the busiest times at Korvatunturi, because the gifts must be prepared and all letters answered that Santa has received. In the summer, even the folks at Korvatunturi take it easy and spend some time together playing and engaging in various hobbies. …reindeer stables, and, of course, the heart of the entire area – Santa’s house – are all located in the Korvatunturi area. In Santa’s house there is room for everybody. The cosy, warm and spacious log house is open to all gnomes and forest animals. There is always food to be found at Santa’s home and a place to stay overnight for the friendly stroller. Santa’s favourite place is his own armchair at the fireplace. When the evening comes, Santa sits down in this chair, produces a big red Book of Names from an old chest next to the chair and opens it on his lap. This book, which is decorated with beautiful golden buckles, holds the names of all the children the gnomes have told him about. Stories of righteous and caring children never fail to put a smile on Santa’s face and get him thinking of the coming Christmas. There are many doors of different sizes to Santa’s house. There are large doors for large animals and large gifts, and small doors which even the tiniest of gnomes can open. The legend has it that nobody has ever used all of the doors in Santa’s house, and that only Santa knows where they all lead. ehind the stairs leading to the first floor there is Santa’s secret hatch. Through this hatch in the floor Santa can go down to the basement where Santa’s command centre is located. There are dozens of computers and monitors in the basement, all receiving messages and letters from gnomes and children from all over the world. Big receiver units transmit even the faintest little whispers to Santa, and the gnomes are busy answering the text messages of which Santa receives plenty at all times. From the wall-mounted monitors one may observe the preparation of gifts in Santa’s workshop, and the gnomes use a large red receiver to notify the folks in the workshop of new orders. Behind the large living room, is Mrs. Santa’s realm. In the huge kitchen she gives directions to the kitchen gnomes and tastes the dishes being prepared for dinner. Mrs. Santa is known for her massive feasts where there’s always enough food for everybody. The encouraging words of the joyful and friendly Mother Christmas and her playful tickle on the neck will never be forgotten by the tiny kitchen gnomes. Mrs. Santa thinks that the Christmas peace and goodwill are best found in the moments when people gather together to prepare Christmas dishes, baking and tasting warm gingerbread cookies straight from the oven while the huge candle lanterns are being lit outside by the stable gnomes. ow do the reindeer always find their way back to Korvatunturi even if nobody else knew the way? When the last gifts are given out and Santa approaches the arctic circle, the legend has it that Santa switches off the satellite GPS and gives instructions to his head reindeer, Rudolf, guided by the northern lights and winds. The Lappish Nature knows Santa will be returning in his sleigh from his important mission and helps steer the exhausted reindeer to the right place. Helping out Santa is a great honour for the Lappish Nature, which is why you may see northern lights carrying out their routine exercises in the sky, even if Christmas is still a long time away.